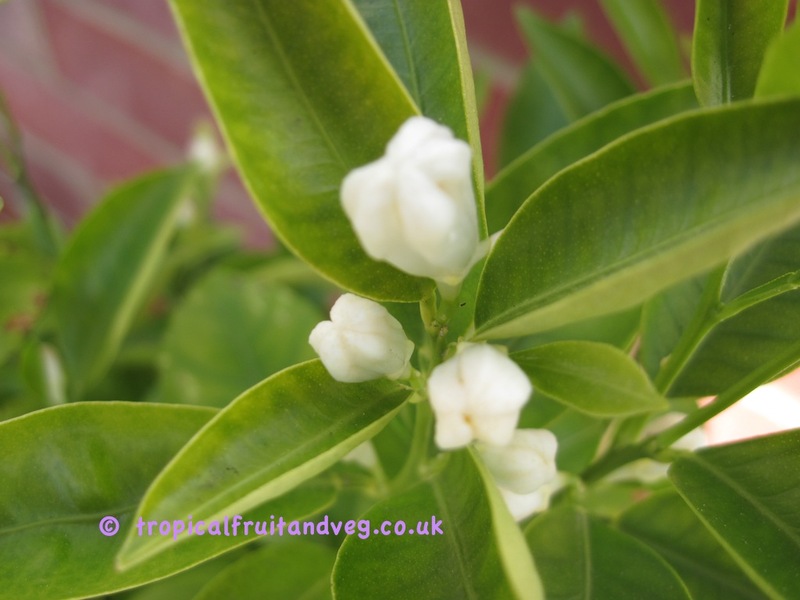 The calamondin tree can grow from 1-7 m high has a deep taproot and is erect, slender, densely branched beginning close to the ground and slightly thorny. The evergreen leaves are alternate, aromatic, broad-oval, dark-green, glossy on the upper surface, yellowish-green beneath, 4-7 cm long, faintly toothed at the apex, with short, narrowly-winged petioles. 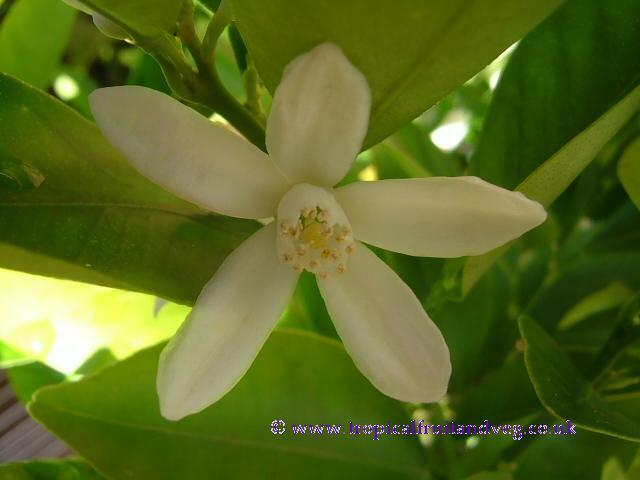 The richly and sweetly fragrant flowers, having 5 elliptic-oblong, pure-white petals, are about 2.5 cm wide and borne singly or in 2's or 3's terminally or in the leaf axils near the branch tips. The showy fruits are round to 4 cm wide, with very aromatic, orange-red peel, glossy, and dotted with numerous small oil glands; tender, thin, easily-removed, sweet, and edible. The pulp, in 6 to 10 segments, is orange, very juicy, highly acid with 1 to 5 small, ovoid seeds. 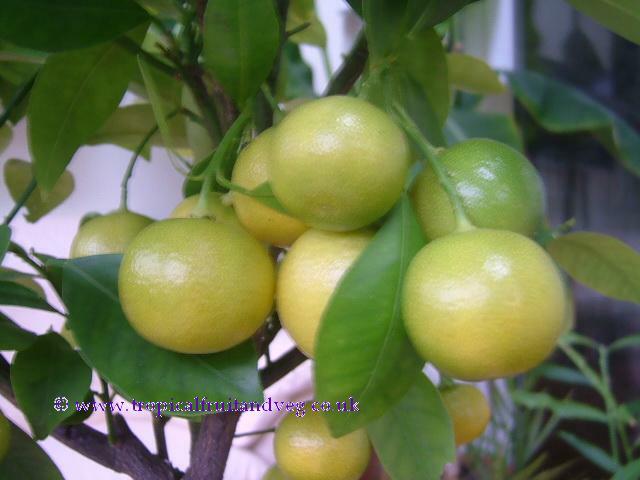 The calamondin is as cold-hardy as the Satsuma orange. It is moderately drought tolerant. The tree seems able to tolerate a wide range of soils from clay-loam in the Philippines to limestone or sand in Florida.